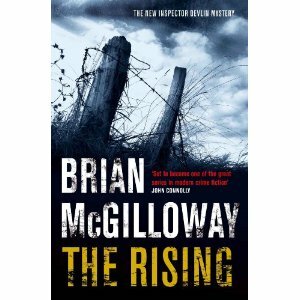 Brian McGilloway's new The Rising features his series detective, Ben Devlin being as impulsive or even more than in earlier books. Devlin is a particularly human cop, not characterized by alcoholism or loneliness or depression like so many fictional detectives but by an acute sympathy with victims and friends, and a certain lack of awareness of how his well-meaning actions are sometimes perceived by others. He retains his anxieties (and suffered from panic attacks in previous novels) until he bursts into unwise action (particularly in The Rising), and since the novels are told in the first person, from his point of view, we are intimately acquainted with his intentions as well as his mistakes. In The Rising, he is tossed into a case involving anti-drug vigilantes who are not quite what they seem, post-Good-Friday-Agreement paramilitaries, his brusque and unsympathetic boss, a tragedy in a former partner's life, and tensions at home having to do with his daughter's reaching her teen-anguish years and his wife's continuing irritation at his absences from home. At times his home life and his unofficial investigation into his ex-partner's tragedy take precedence over his official investigation, and all of his activities threaten to disintegrate into disaster and chaos. 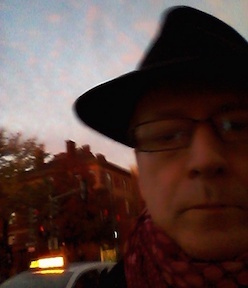 In fact, Devlin is running frantically from one problem to another, in what we should all recognize as panic mode, when too much is happening on too many fronts. The strength of McGilloway's stories is the ordinariness of his main character and the directness of his writing (along the way, he also tells us a great deal about life on the northwestern borderlands between Ireland and Northern Ireland). The Rising is a book for fans of all varieties of crime fiction: it blurs boundaries between genres as much as between countries and jurisdictions and cultures. The ambiguities that remain at the end are simply a reflection of McGilloway's overall attention to the daily realities (both dramatic and undramatic) that we will recognize as much from our own lives as from the crime columns of the daily paper.